Areas with a yearly rainfall of 500mm or more. 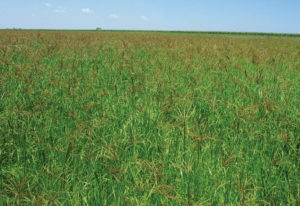 All three components are tasty perennial grasses and possess good digestibility characteristics that can be used as standing hay. The species compliment each other. 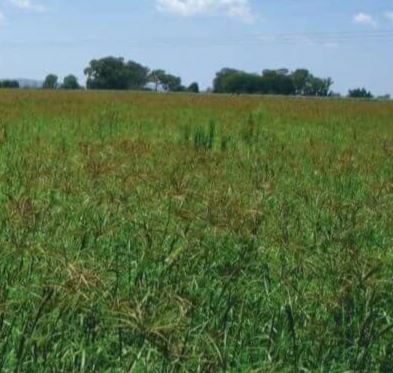 Rhodes- and buffalo grass settles faster and suppresses the emergence of weeds. It provides the smutsfinger-component with a weed-free base to settle over time. The mixture is suitable for most soil types. The management of the mixture is according to normal smutsfinger management practices. The mixture also combines well with legumes, such as sweet-whiteflower clover (Melilotus Alba).